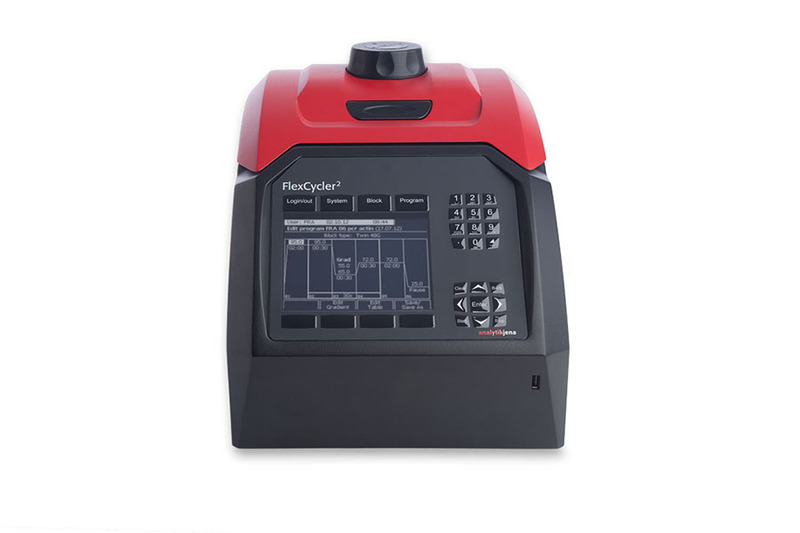 Flexibility is the unique selling point of this thermal cycler. With its eight different blocks, users can conigure the cycler to meet the demands of different PCR applications without any tools and in just a matter of seconds. The FlexCycler then automatically detects the installed thermal block with no extra manual intervention required. The contact pressure and heating are adjustable for all block lids. The blocks are made of an aluminum alloy that optimizes energy transfer. In addition, the twin blocks make it possible to control both block sides independently. The unit utilizes state-of-the-art ramping rates and temperature accuracy. Its extra large LCD display and user-friendly interface make operations easy to understand.